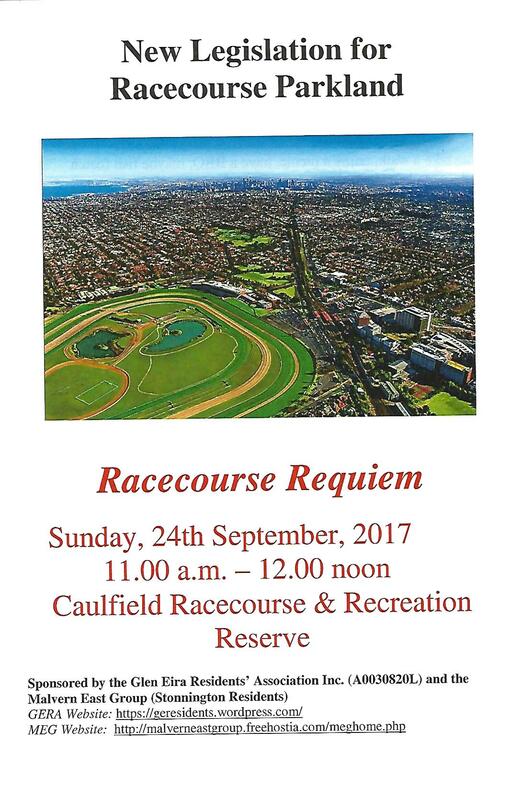 Racecourse and Recreation Reserve – Opportunity for Change ??? Posted on November 22, 2015 | Comments Off on Racecourse and Recreation Reserve – Opportunity for Change ??? 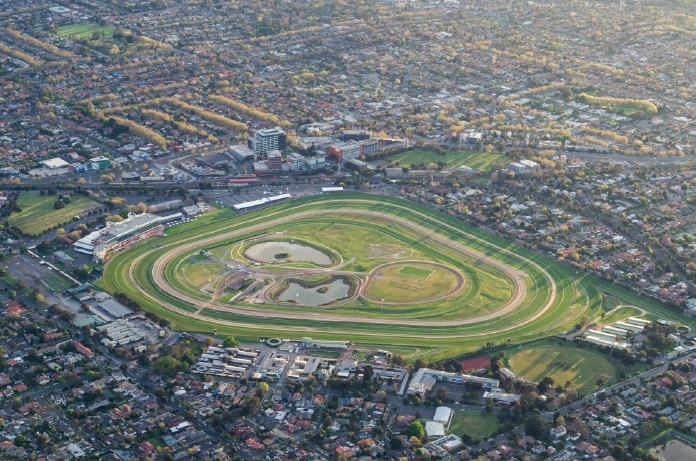 Wednesday, 16th September, 2015, saw the conclusion of the two Caulfield Racecourse and Recreation Reserve Trust consultations (presented by Trust Chairman Greg Sword and Landscape Architect, John Patrick) which sought community input into the initial stages of Trust’s preparation of a “Strategic Land Management Plan” (SLMP) for the Caulfield Racecourse and Recreation Reserve”. The Reserve (which comprises 54 ha of primly located crown land currently valued at $2bn) was created (by a Crown Grant in 1858 and formally enacted in 1875) to provide for three separate yet equal purposes of race course, public park and public recreation ground. Yet, as per the Auditor General’s (9/2014) findings, under the dysfunctional and archaic structure of the Trust, management of the reserve has focused on the racing purpose to the exclusion of the public park and recreation ground purposes. 11 ha (20%) is leased for racing uses for a peppercorn rental of $170,000 pa.
37ha (69%) is used for racing purposes without any clear legal entitlement or payment. The majority of this area is located in the centre of the racecourse proper (a.k.a. the “Flats”) and is that area originally set aside for public usage. 6ha (11%) that is “potentially” available for public park usage. The area is difficult to access and comprises limited facilities – both presenters agreed with this assessment. Since inception, the Trust’s management and Racing’s* dominance of the reserve has been a contentious issue, but never more so than in the last 18 years. 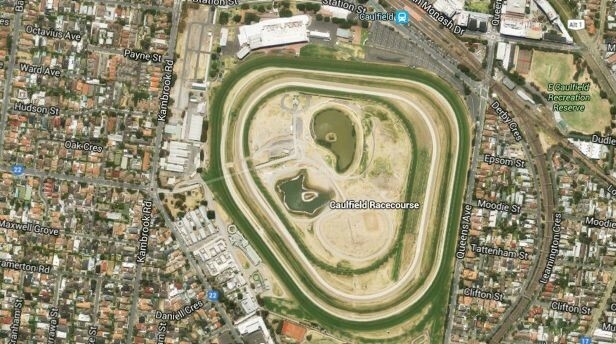 In 1997, the Victorian Racing Club, for financial reasons, decided to sell for development their state of the art training facility located on their freehold land in Mordialloc (a.k.a. 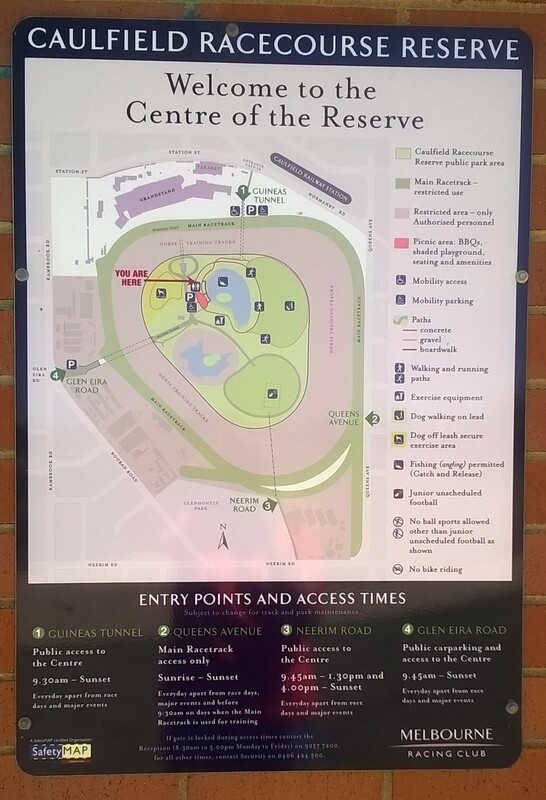 the former Epsom Racecourse) and to focus training facilities at the Caulfield Racecourse (ie. choosing subsidised Crown Land rather than their own freehold land within Metro Melbourne or in a regional centre). * While the Melbourne Racing Club (MRC) is the current public face of the Reserve, the public face has varied between various Racing entities over the years. To simplify this posting, GERA uses the generic term of “Racing” to represent these entities. In the past 18 years, increased Racing dominance has resulted in a dramatic decline in the area/s available for public usage (via the encroachment of training facilities and commercial activities) and the public’s ability to access the public usage area/s (eg. 4 only access points, restricted daily hours of usage, inner fencing and training track barriers, public exclusion during non-racing related commercial activities) – thus the Auditor General’s description of the remaining 6 ha of public park being “potentially” available. various exclusions were applied (eg. all leased areas and all stabling and training facilities located within the reserve would remain as a “given”). These exclusions whittled the area of the Reserve open for discussion down to an area akin to the 6 ha referred to in the Auditor General’s report. Additionally, although presenting a map of the reserve, the presenters were unable to identify either the location or size of the public area to be discussed. mailout to Glen Eira sporting clubs, retirement villages and schools within a 3 km radius of the Reserve. All in all, not a good start. Those attending (approx. 35) the first consultation, quickly began seriously questioning the Trust’s ability to develop an “overall vision and rationale for the Masterplan”, when the starting point (for a unique site with huge potential for a wide area) was based on maintaining the status quo – a status quo that was the subject of a scathing Auditor General’s Report in 2014 and an equally critical 2008 Legislative Council Select Committee Report. while acknowledging that this consultation represented a shift in the Trustee management philosophy, that shift was still accompanied by a philosophy that clearly considered the 2 public purposes as subordinate to the Racing purpose rather than as outweighing or being at least equal to the racing purpose. the Trust needed to take a much broader view that recognised the huge potential of this land and the opportunity it presents to a dramatically increasing population with an ever increasing need for parkland and open space. then establish both the time frame and steps required to move from the current untenable position to achieve the future vision. 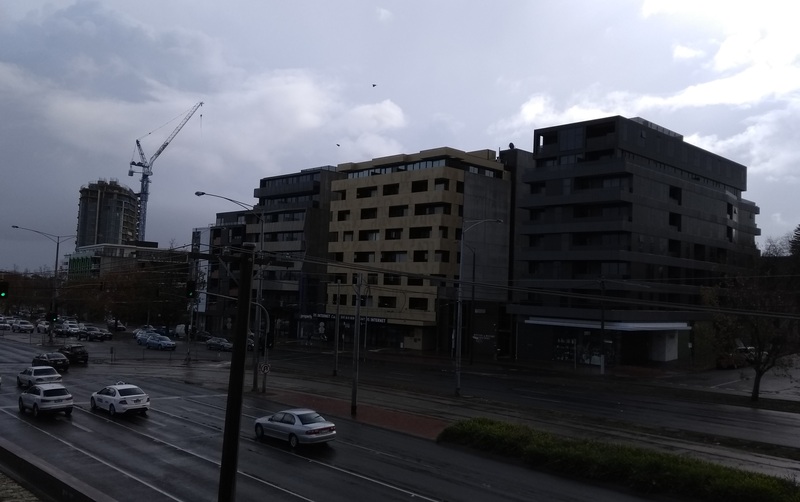 that development of the SLMP, would be a long, reiterative process and would involve the broader community, not just Glen Eira’s sporting clubs, retirement villages and schools located within 3 km of the Racecourse. 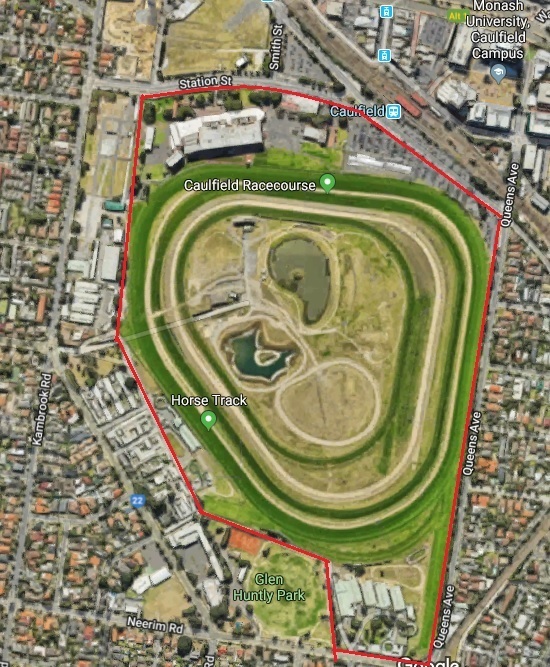 retention of all stabling and training facilities located on Reserve land was not a “given” and that initially, consideration would be given to “tweeking” the current training track configuration to increase the public park area. Later consideration would be given to the removal of training and stabling facilities located on reserve land. that public accessibility and fencing (inner and perimeter) issues would be included in the SLMP. However, the positive nature of the above was subsequently dampened by Greg Sword’s outline of the deficiencies/dysfunctionalities inherent in the Trust’s structure and the severe impact these have on the Trust’s ability to effectively manage the Reserve. 6 Trustees representing the racing industry. These Trustees are senior executives of the Melbourne Racing Club (MRC) and in regular contact. 6 Trustees appointed by the State Government, theoretically representing the broader community who may or may not be in regular contact with other trustees. GERA comment – as per the 2008 Select Committee Report these Trustees have a predominantly racing (vs. parkland management) background and know little of the public park purposes. 3 Trustees representing the local community, appointed by the State Government. These trustees are Glen Eira Councillors (Crs. Lipshutz, Hyans and Esakoff) who may not be in regular contact with other trustees. This structure makes it difficult for the Trust to pass any resolution that is not supported by the Melbourne Racing Club Trustees. Therefore, it is unlikely that any SLMP that is “seen” to adversely impact Racing’s use of the Reserve (for racing, training or stabling or non-racing related commercial events) will the approved by the Trust. Revenue received from MRC’s Reserve leases will provide the funding for works included in the Trust’s SLMP. Even if the currently proposed, highly questionable, annual rental of $1 million, is approved, it will be some time before works will commence. The Trustees have not met since prior to the publication of the Auditor General’s Report and are not scheduled to meet until November. Trust approval to undertake this current round of consultations was obtained through email contact. 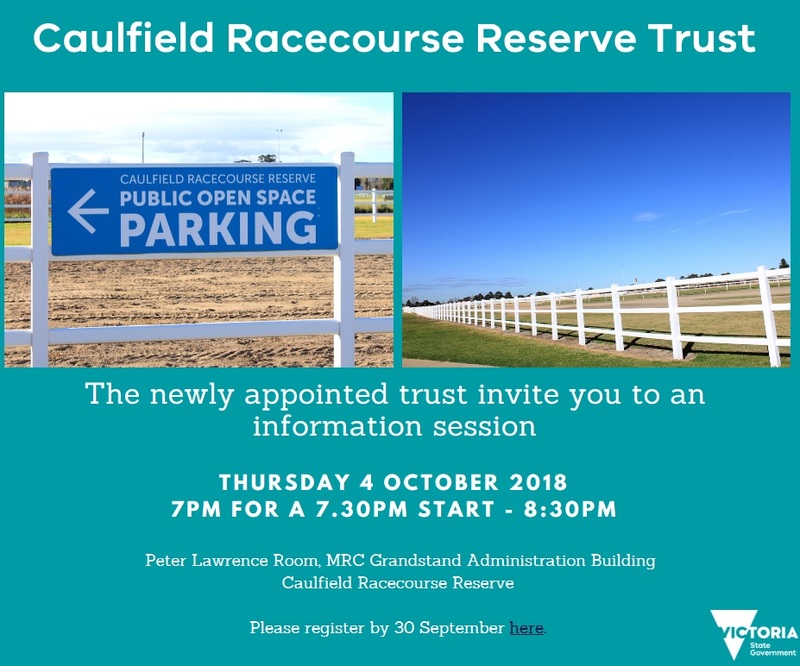 The Trust could not comment on Racing’s future plans for the Caulfield Racecourse and Recreation Reserve (Australian Financial Review, 11/9/2015) as Racing had not submitted those plans to the Trust. 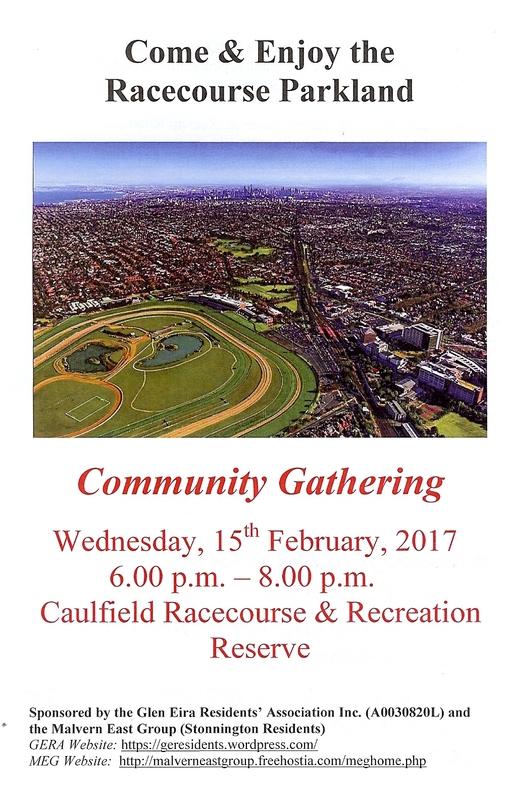 While attendees (at both consultations) were left wondering why, one year after the Auditor General’s Report, the State Government has yet to address the Caulfield Racecourse and Recreation Reserve Trust issues, they nevertheless put forward their views on the public facilities required, in the hope that some improvement may eventuate. have broad appeal, providing for all ages, all abilities, both genders and be family friendly. Must be available for night/evening usage. Currently public usage is not permitted after dusk. Ball Sports should be allowed. For example – football, soccer, cricket, hockey, baseball, tennis. The racecourse proper and training tracks should not be restricted from other uses, eg. joggers, athletics, school athletics. Use of the centre as for commercial/corporate events or as a carpark is not supported. Removal of inner and perimeter fencing. Reserve’s public park and recreation area and usage to be actively promoted (rather than racecourse usage). The impact of Glen Eira’s limited open space and sporting facilities has on all residents and in particular, the inability of the Glen Eira’s sporting clubs, located within 3 km of the Reserve, to meet membership demand. 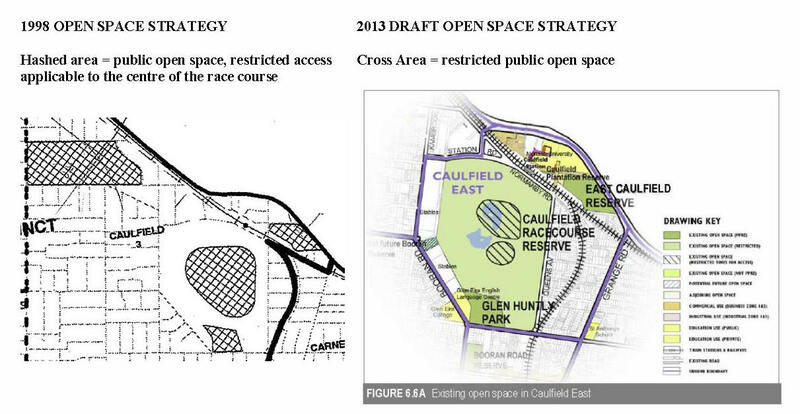 So dire is their current need (not to mention the future need from the Caulfield Village, the Monash University expansion and the potential redevelopment of the MRC Freehold land along Kambrook and Booran Roads) for additional facilities that, initially, they were willing “bend” their match and training schedules to accommodate the 27 race meetings per annum and various commercial activities. improved public access and park promotion could be provided via the replacement of the solid perimeter fencing with open palisade fencing (with additional gates) along Glen Huntly Park and Queens Avenue. 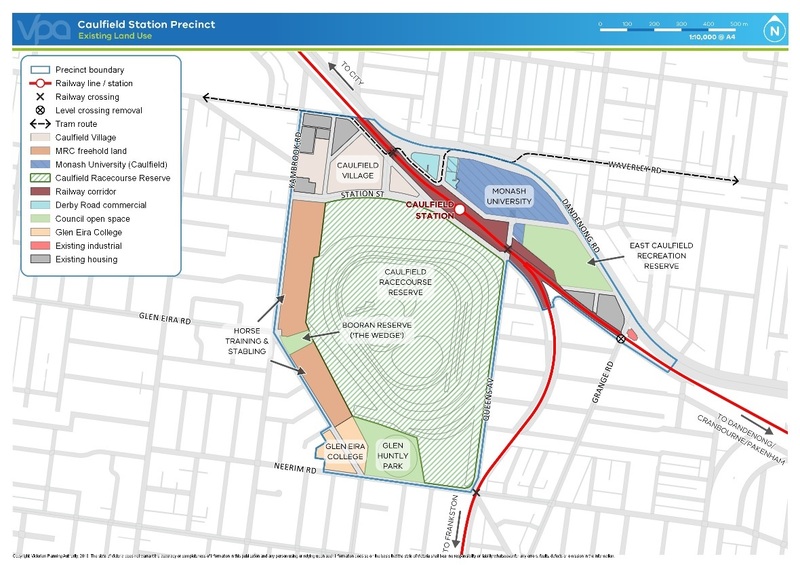 Comments Off on Racecourse and Recreation Reserve – Opportunity for Change ?? ?